Be careful while soaking up the sun. 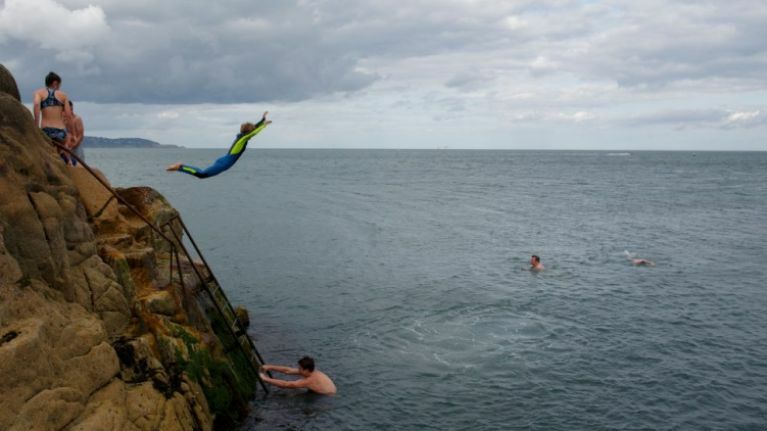 Dún Laoghaire Coast Guard has warned swimmers to be cautious while out making the most of the great weather, after it was tasked with rescuing a person injured at the Forty Foot, one of Dublin's most popular swimming spots. Responding to reports that a swimmer had struck a rock while in the water on Monday (28 May), the Coast Guard helped remove the injured party before they received first aid treatment from a GP and member of Greystones Coast Guard, who was swimming in the area at the time. Also providing assistance were Dún Laoghaire RNLI, who were training when the incident happened. Subsequently, the conscious casualty was brought to an awaiting ambulance to be treated further. In a post on Facebook, the Coast Guard warned swimmers: "The Forty Foot is a beautiful spot but also dangerous swimming area. "There are many hiding rocks not visible to the naked eye. Please heed the warnings signs, they are there for a reason." You can read the notice in full below.